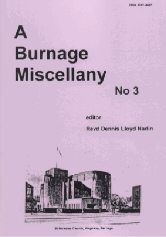 The Reverend Dennis Lloyd Nadin has spent a number of years researching the history of the Burnage area and produced a range of publications on the subject. We offer the following for sale, which can be purchased from Burnage Library. Alternatively, you may send an email to info@burnageactivityhub.org.uk detailing your order and we will arrange payment and postage details. If you would prefer to pay using PayPal, you can buy our booklets from eBay. Please click here to view our current listings. We are delighted to note that he has generously donated all future proceeds from the sale of these Burnage Heritage books to the Friends of Burnage Library group. Burnage Hall – A Roman Road – burials at Didsbury 1576-1667 – 1871 Heads of Household – William Goldthorpe – The Lings of Burnage Lane – Burnage Miniature Railway – Workhouse lunatics. The main article in this issue focuses on the story of Burnage House and the Pearn family, who gave their name to the present Pearn Road and Pearn Avenue which stand on the site of their home. Hilary Waddingham nee Needham wrote of her musical experiences as a child pianist in the forties and fifties. John Reacroft wrote about the 1st Burnage Cubs and Scouts, and Pauline Shepherd wrote on the work of Rodney House. There is also a tale of two publicans and their conflict with a local policeman in 1886, some Burnage marriages at ‘The Cathedral’, research on the Jackson family along with photographs including an Acacias class in 1954 and Burnage High School in the fifties. The issue has a major article on ‘The Crossley Road Tragedy of 1952’ along with two guest articles, one on ‘Moving into Avon Road’ by Kathleen Corrigan nee Morrison and ‘How the Other Half Lived’ by Pauline Giles and Stephen Greatbanks. There is more research into the Jackson family, including a list of their possessions in 1836, some Burnage monument inscriptions from Didsbury churchyard, Burnage items from “The Times” of 1866-77, a Burnage Arts and Crafts Exhibition in 1902, news of Burnage from 1906 (including a dispute about the first bus service), and a list of POWs from Burnage High School in 1944/5. It is well illustrated with school and sports photos, and some recent photos and items of graphic art from modern Burnage. 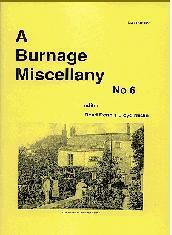 The main article in a Burnage Miscellany 8 is on the Bibbys of Bibby Lane and Hyde Fold farms, along with ‘Moving Into Arbor Avenue’ by Don Briddock. Also included is news of a new church for Burnage in 1875, more history of the Jackson family, information on some Burnage baptisms at Heaton Norris and Burnage servicemen from the Second World War, news from Burnage in 1907 and a number of photographs. 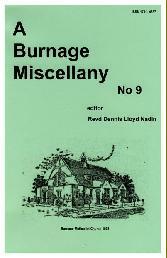 Burnage Miscellany 9 has a leading article on Burnage Methodist Church and a sad story of Solomon Swift. There are reports of a balloon incident, a Burnage Pageant of 1908, further history on the Jacksons, some Burnage MIs from Heaton Mersey Congregational Church, a poem on Burnage Days, Burnage News from 1908 and more names of those serving in World War 2. The major article is on Cringle Fields and Errwood Park, illustrated by a number of rare historical photos. There is also a detailed account of Clifton Street (now Connaught Avenue) in 1911, and plenty of Burnage news from 1909. There is an article by Edward (Ted) Bethel deceased- of the days when he went poaching where now Kingsway lies, and another by Geoffrey Bingham of his family moving into Burnham Avenue in 1936. Three World War 1 servicemen, Henry William Cross, Clifford Albert Seddon and Ernest Hardiman feature in a short taster of our research into what we hope will become a book on Burnage Servicemen of World War 1. There is also another list of Burnage residents who served in World War 2, along with a list of some of the earliest pupils at Burnage High School and a selection of photos from our Burnage Heritage collection. 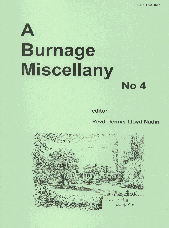 This 28 page A4 booklet from Burnage Heritage is a new edition of the A5 booklet by Miss E Watts Sidebottom, originally published by Burnage Congregational Church in 1929. 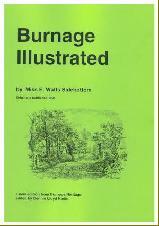 The booklet was a brief history of Burnage, illustrated by photographs and a series of sketches by Miss Corbett. 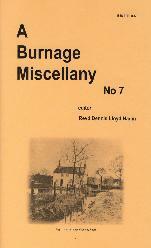 It also contains a short article on Burnage Congregational Church. 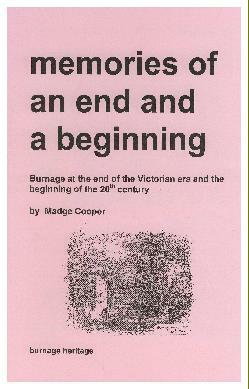 This booklet was written by Madge Cooper who spent her childhood in Burnage at the end of the nineteenth century. Her home was Cringle Lodge which lay at the north end of Burnage Lane close to Cringle Hall and across from York House, where now a pair of 1920s houses now stand. There is an account of the house and family as well as neighbours and friends, of events and holidays. Bombs over Burnage is the first volume of the Wartime in Burnage Series, giving something of a background to the war, evacuation and the Blitz from a Burnage viewpoint. It is a 56 page A4 booklet. 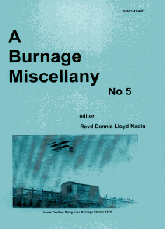 The second volume of the Wartime in Burnage series is a 64 page A4 booklet concerned with how people and organisations continued with their everyday lives during the war. It has chapters on the schools, churches, working life and leisure activity in the area at the time. Reminiscences of the 1940s and 50s. A 56 page A4 booklet written by Dennis Nadin, describing the period from 1937 to 1955 as experienced by the author. 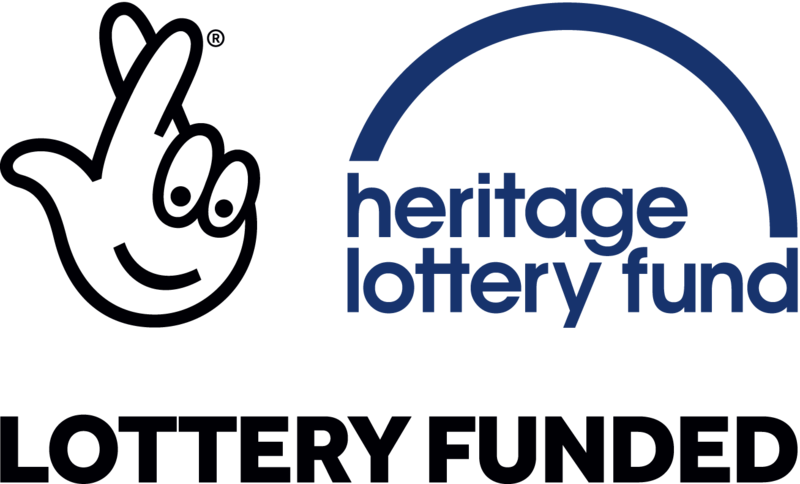 Topics covered are Moving On to the Lane, The Smiths and Harrisons of Southbank Road, War and Evacuation, Green End School, Burnage High School, the Library, St Margaret’s church, rationing, and play and popular culture. The Garden village celebrated its centenary in 2006, for it was in 1906 that the Manchester Tenants Association was formed. Burnage Heritage produced a 28 page history of the Garden Village to mark this occasion.